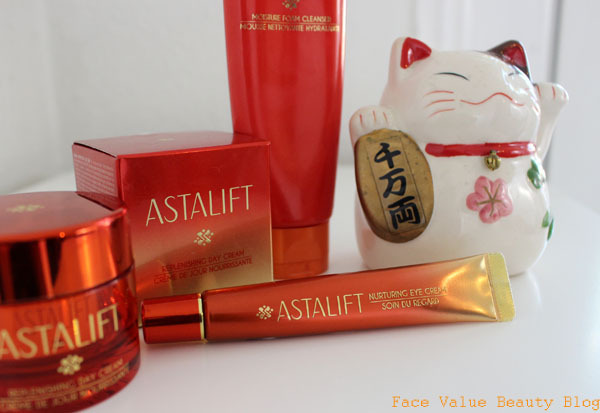 I don’t know about you but I am fascinated by asian cosmetics and asian skincare. Yeah yeah yeah, I’m obviously MASSIVELY biased since I’m Chinese, but skincare in the Far East is completely next level because beauty trends over there favour clear glowy skin over makeup. Enter Astalift – an anti-aging skincare brand by Fujifilm (yes, the camera people!) which has used Fujufilm’s innovative technologies to create a very scientific, very distinctive skincare brand. Cameras and skincare? It sort of makes sense, FUJIFILM have spent 70 years researching how the eye sees people’s faces, and the link to creating the perfect photo is actually closely related to the creation of beautiful skin. 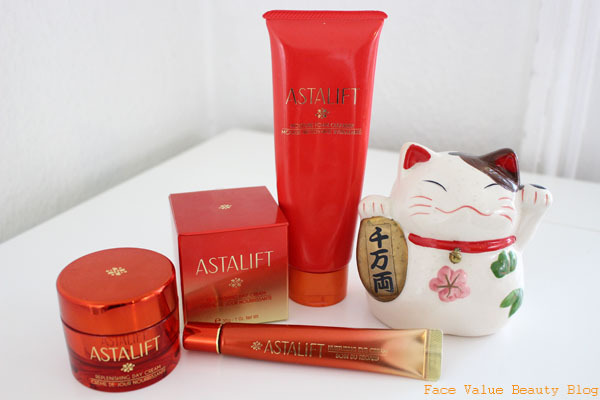 Normally, I stock up on my asian skincare and cosmetics when I go back to Hong Kong and China, but here’s a great bit of news for you – Astalift is avaiable on Lookfantastic.com! Yup, the very same Lookfantastic that will send you these products with free delivery – they sent me some Astalift products to try, but I genuinely use Lookfantastic quite a bit anyway as they often have the best prices! So what’s taken up guest residency on my face over the last fortnight? 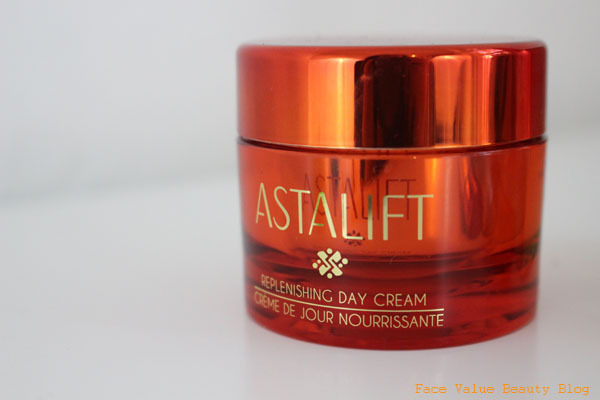 First up is this Astalift Replenishing Day Cream – it uses the red pigment ‘astaxanthin’ to combat free radical damage and boost collagen production. Basically, it uses the same technology that prevents colour fading in photos. It’s quite thick and rich but absorbs reasonably quickly on my oily/combination skin. Probably better for skin that’s on the dry side. The result is meant to be luminous looking skin and I definitely saw an instant improvement in colour and texture upon application. The day cream itself is a lovely apricot shade and I feel that this makes my skin look more even. If only they did this in a lightweight gel moisturiser, it’s a bit too heavy for me but I like the results. Some SPF would be good too. Moisturising is key to prevent fine lines and wrinkles and nowhere needs it more than your eyes! 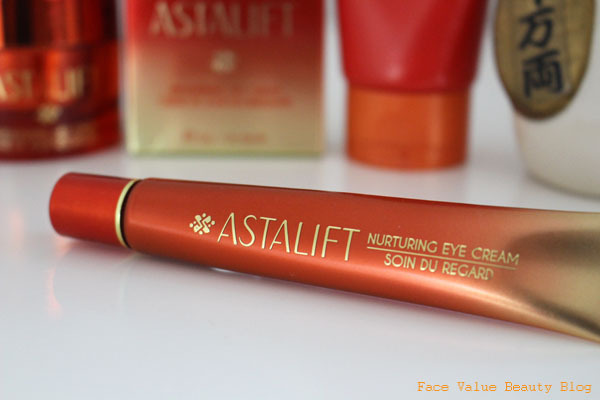 I tried Astalift Nuturing Eye Cream, very similar in texture and feel to the Day Cream but slightly lighter. The eye cream features Astaxanthin again, but also nano-lycopene (whatever that is) to pamper the eye area, whilst remaining light and non-greasy. “FUJIFILM has taken its expertise of nanotechnology to develop colour in film, and applied it to the cream to allow high concentrations of nourishing ingredients to be penetrated into the skin.” Sounds fancy eh? Well it feels pretty fancy, the cream is nice and I’m excited to see the results. Again – I feel it’s probably better suited for normal/dry/dehydrated skin. It’s not your average foaming cleanser, it’s more of a foaming cream and actually it’s not very foamy. I prefer this, because it feels like my skin is getting good exposure to the ingredients in it. The only thing I’m not sure on is the squeaky clean finish – it’s like I’ve washed my face with soap and there’s a smooth barrier left afterwards. I think it definitely makes my skin look smoother, but I don’t like the squeaky clean feel. All in all – I’m very excited to have a UK supply of my beloved asian skincare. I love trying new brands and it’s great to not have to pay a small fortune for delivery! 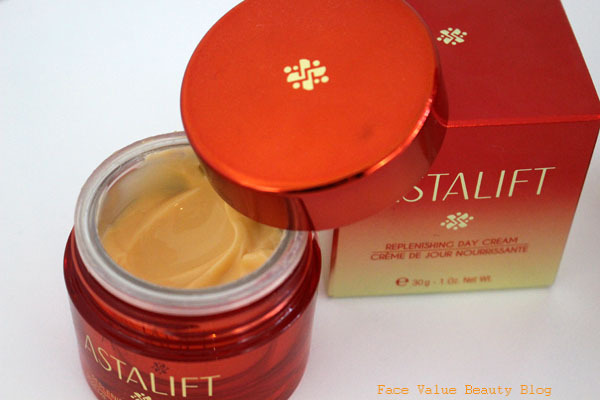 Astalift seems to have it’s fans amongst you – recommendations from Face Value followers on Instagram and Facebook page include the Cleansing Oil and the Jelly Aquarysta Serum. Cleansing oil is definitely a big thing in Asia – the legendary Shu Uemura oil for one, I’m keen to try more! What do YOU think about trying international products? Do you have any favourite Asian skincare brands? No strings attached – just a pure, unadulterated GIVEAWAY.